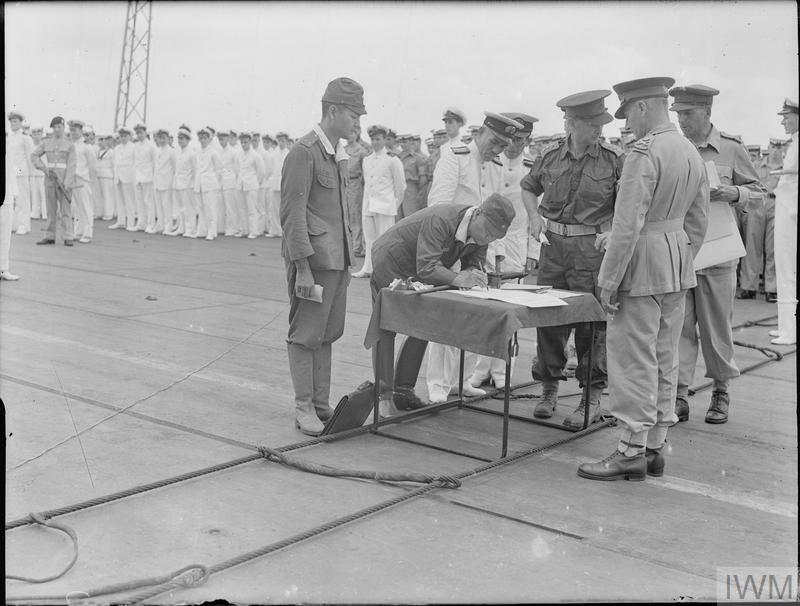 General Imamura, Japanese South-Eastern Army Chief, signing the official document for the surrender of 139,000 Japanese in New Britain, New Ireland, the Solomons and New Guinea. 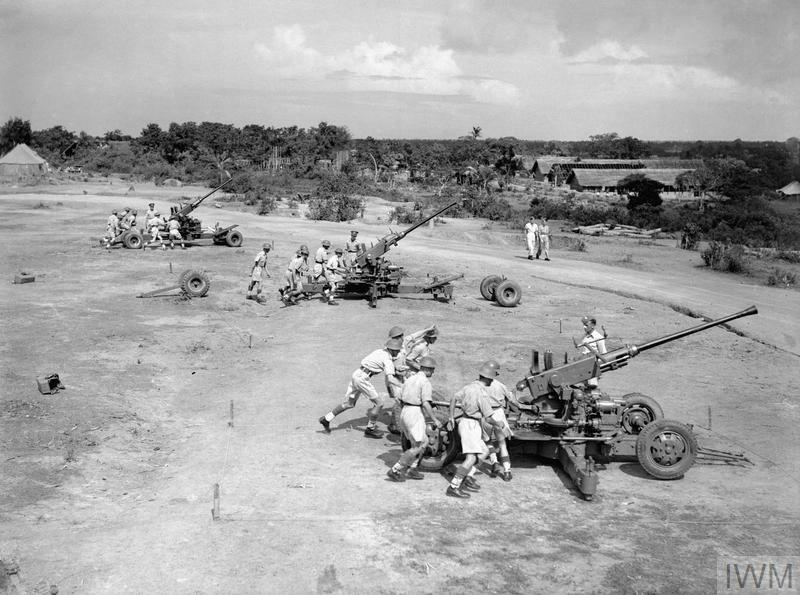 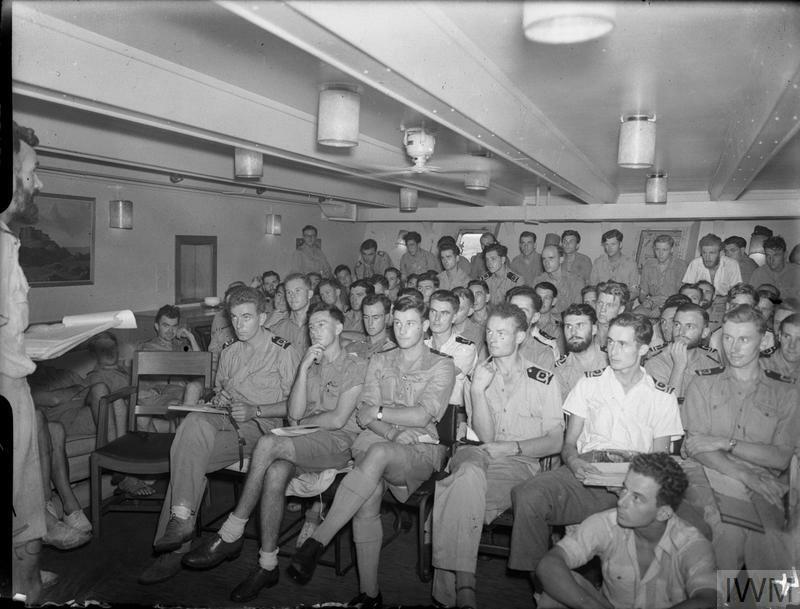 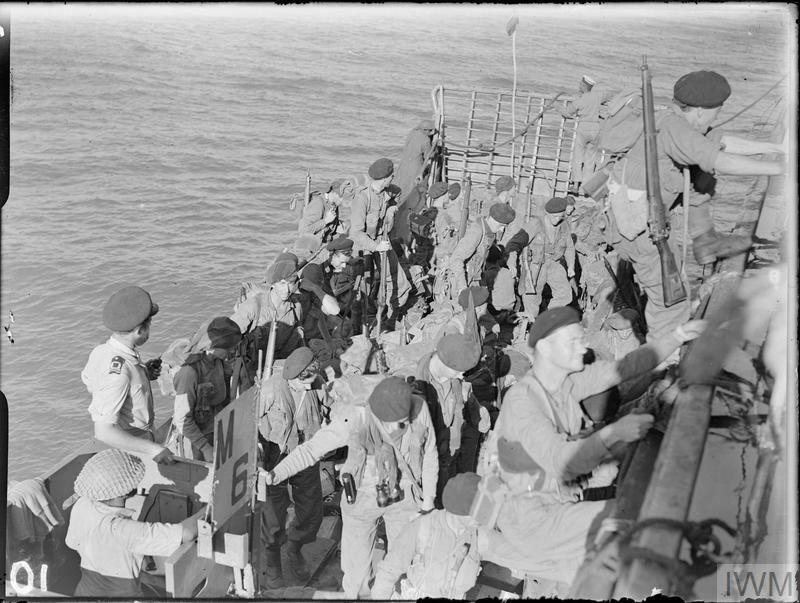 The surrender ceremony took place on the flight deck of HMS GLORY off Rabaul. 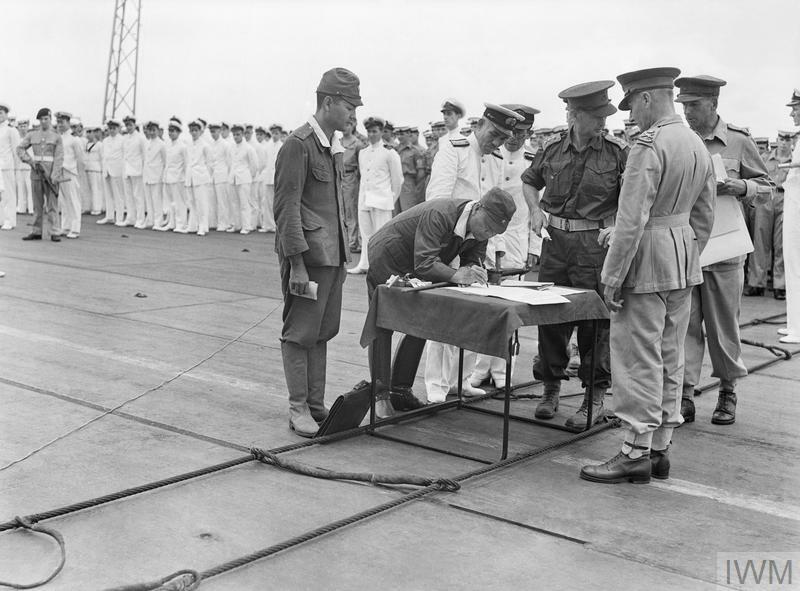 Lieutenant General Sturdee, GOC First Australian Army, who signed for the Allies, is closely watching the Japanese General from the other side of the table. Admiral Jin Icha Kusaka signed the treaty for the Japanese south eastern naval forces. 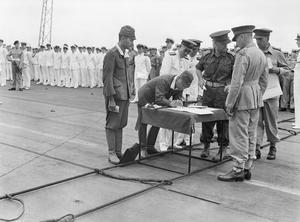 General Imamura signing the official document of surrender for Japanese forces in New Britain, New Ireland, the Solomons and New Guinea, on the flight deck of HMS GLORY off Rabaul, 12 September 1945.